Dr. William Husel joined Mount Carmel Health System in 2013 as an intensive care physician trained in anesthesiology and critical care. From the time Husel started at Mount Carmel, one medical professional at the hospital says he noticed Husel used high doses of pain medication. WOSU spoke with a nurse and pharmacist who worked the night shift with Husel. We’re not disclosing their names because they fear they will lose their jobs for speaking publicly. Both Mount Carmel employees say it was common for Husel to be the only doctor in the ICU during the night shift. He often was the only person on duty with expertise in anesthesiology and sedation for patients. So when Husel ordered higher-than-usual doses of pain medication, the employees say they deferred to him. 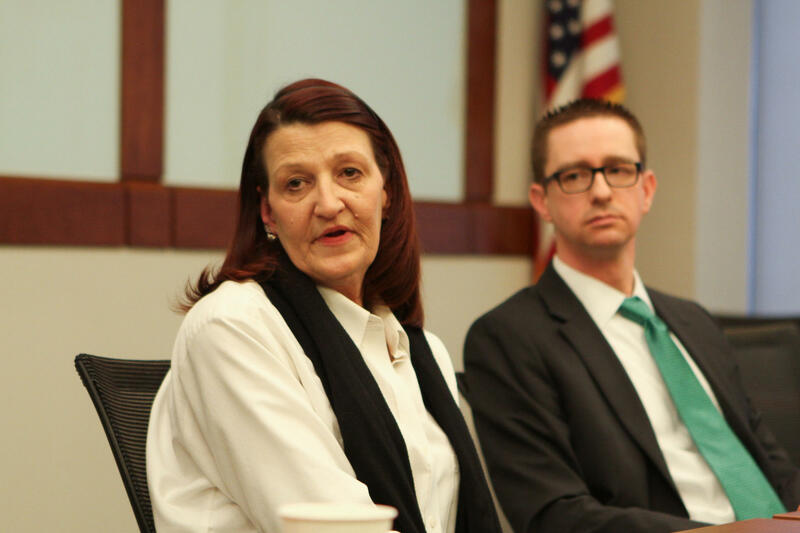 Christine Allison talks about her late husband Troy, next to lawyer Craig Tuttle. Troy was among at least 34 patients who died after being given an "excessive" dose of fentanyl by Dr. William Husel. Ohio law states that pharmacists and nurses both have a legal responsibility to the patient, and can use their professional judgement to question the prescriber. One of the employees says he did just that by directly questioning Husel about high doses. “When I spoke to him about medication doses, he would give a very reasonable answer that convinced me a certain dose or indication is appropriate,” the employee said. In the end, he deferred to the doctor. He says he never brought his concerns to hospital management. Husel was removed from patient care duty on November 21, 2018, and fired on December 5. The hospital says that Husel gave "excessive" doses of painkillers to at least 34 patients who died after being administered the drugs. 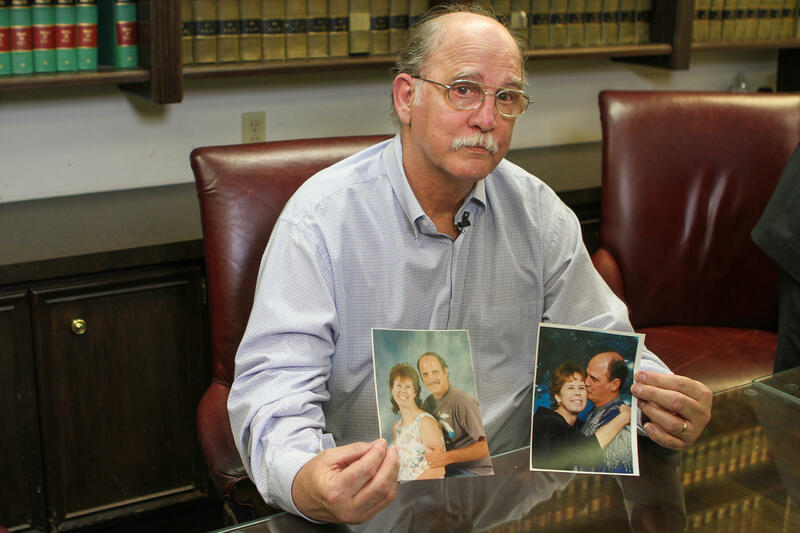 Since Husel’s firing was made public on January 14, families of patients have filed eight wrongful death lawsuits against Husel, the hospital, and several nurses and pharmacists. In many of the suits, families report Husel said their loved one could not be saved. Family members say they requested their loved ones be taken off life support and made comfortable during their remaining time. “The whole area of how much pain medicine to give, how to manage someone who you are going to allow to die, is very grey,” says Arthur Caplan, a medical ethicist at New York University. Caplan says when cases like this come up, the medical community looks at what is considered common practice. “And amazingly, you find out that some people use a lot of drugs,” Caplan says. 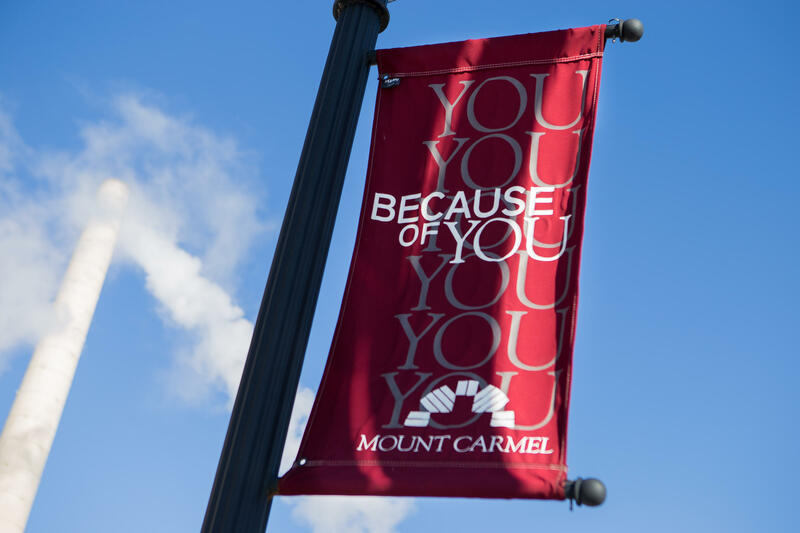 A banner at the Mount Carmel West campus in Columbus on Jan. 30, 2019. Following Husel’s firing, the hospital suspended 23 pharmacists and nurses, as well as “members of the management team.” Neither of the employees WOSU spoke to are currently on administrative leave. Both employees agree: Mount Carmel’s policies were not sufficient to justify punishing staff members who carried out a doctor’s orders. Mount Carmel said in a statement that they continue to examine whether they could have caught Husel’s practices sooner. Husel's medical license was suspended last week by the State Medical Board, barring him from practicing medicine in Ohio pending a full investigation. Mount Carmel Health System has put 23 employees on leave as they investigate “excessive” dosing practices by now-fired doctor William Husel.